The Internet: is a system of interconnected computer networks created to serve billions of people worldwide. 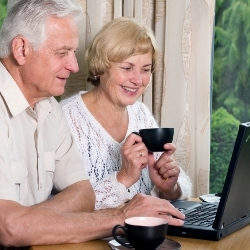 The internet was begun in the 1960’s after computers developed in the 1950’s began to connect and share information. Browsers: are software applications used to locate, retrieve and display information found on the internet. The most popular browsers are Internet Explorer and Google while Opera, Apple Safari, Google Chrome and Firefox are also widely used. Search Engines: are programs within a browser that can take you to specific information. Some popular search engines are Google, Yahoo, Bing and Hotbot. URL: stands for uniform resource locator. It is the global address of a document or other resource on the web. It is made up of two parts, the protocol identifier (http) and the resource name (example.com). Note that the two parts of the address are separated by ://. ISP: stands for internet service providers. These are organizations, both community-owned non-profit and privately owned for profit, that provide access to the internet. Common ones are Dial-up, DSL, Cable Modem and Broadband Wireless. Keywords and Tags: Keywords are words with specific meaning used by a search engine to locate desired information. Tags are added to posts to help readers see what an article is about and then find similar information. Download: To download information is to receive data from a remote system to a local one. That is, to receive information from the web to your own computer. Upload is to send something from your computer to a remote system. Bookmark: Adding a bookmark to your computer is a way of saving a website to which you want to return. You might bookmark a certain blog or a website where you read the morning news. You “mark” your favorites and go back to them often. Spam: Spamming is flooding the internet with many copies of the same message in an effort to force the information on those who would never choose to see it. It is often a marketing ploy. Blogs: A blog is a personal journal consisting of regular “posts.” Short for web log, blogs are a way for people to express opinions, share information with like-minded readers and generally place their thoughts on the web. There are hundreds of other terms in the internet world, but these will get you started. For more information about use of the internet, see the two sites below, or use your search engine and type in your question. 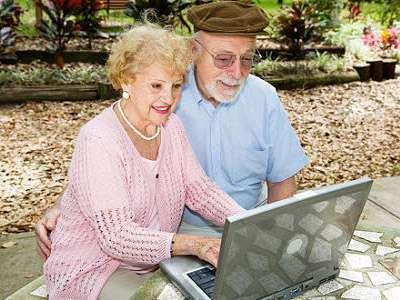 You might start with “Things seniors need to know when using the internet.” You’ll find a list of articles and tutorials to answer all your questions.